In a worldly society that so often encourages us to give in to any and every desire we feel, it can be difficult for Christians to navigate or differentiate between an innocent urge and a sinful action. Without a bit of clarity, it’s easy to believe lies that aren’t based in scripture – and this can be devastating to one’s ability to overcome strongholds. I found myself battling this very territory for over a decade, as I struggled with an eating disorder that dominated my life. It began with the deprivation of anorexia and transitioned to the gluttony of binging. Equal in their destruction, they both caused me to feel ashamed – but I had much to learn. I believed the condition I had was a sin and that belief contributed to postponing my recovery for too many years. Once I realized the profound importance of that truth – that my eating disorder was not my sin — the healing could begin. It’s something many young Christian women fail to process, leading them to years of unnecessary, painful struggle. Both a spiritual deficit and a mental illness, eating disorders can be overcome through the healing power of Christ, but there is a distinct difference between the disorder and the choices we make in the context of it. Choices can be sinful but having an eating disorder is not a sin – and this is a massively important point to understand. Christians in particular seem to have a hard time accepting that these kinds of non-physical illnesses are truly beyond their personal control. It’s time to end this kind of harmful thinking and invite Jesus and modern medicine into the recovery conversation. I remember the day it all started. I’d been hearing girls around me wrestle stressfully over weight they may or may not have been gaining. I’d seen friends purposefully skip lunch and watched my mom evaluate her belly fat in the mirror. And then one day, like an “on” switch flipped in my brain, it began. It started with skipping seconds at meals and adding an endless number of sit-ups and jumping jacks to my daily routine. Quickly, it devolved into forgoing breakfast, eating half a sandwich for lunch, skimping on dinner and never partaking in dessert more decadent than a fat-free lemon ice. If I could make it all day without eating until dinner, it was a win. I was well-versed in the calorie and fat count of all things. Little Debbie Snacks. Bowls of Cheerios. Slices of bread. Tangerines. Spinach. I lived for calorie-free soda and tall glasses of cold water to fill the physical emptiness. Anything to lower the count. Before I knew it, I had grown 6 inches and dropped 20 pounds. My parents chose to blame it on a “growth spurt” but my oddly wide thigh gap, shrinking middle, boney clavicles and sharp shoulder bones told a different story. It was classic eating disorder and I had the hunger pangs and prideful size 00’s to prove it. Some people don’t have the self-control to starve themselves. At least that’s how I saw it when I couldn’t sustain my constant hunger anymore. In my mind, it was a failure of self-control that sent me spiraling in the other direction towards years of binge eating and purging. 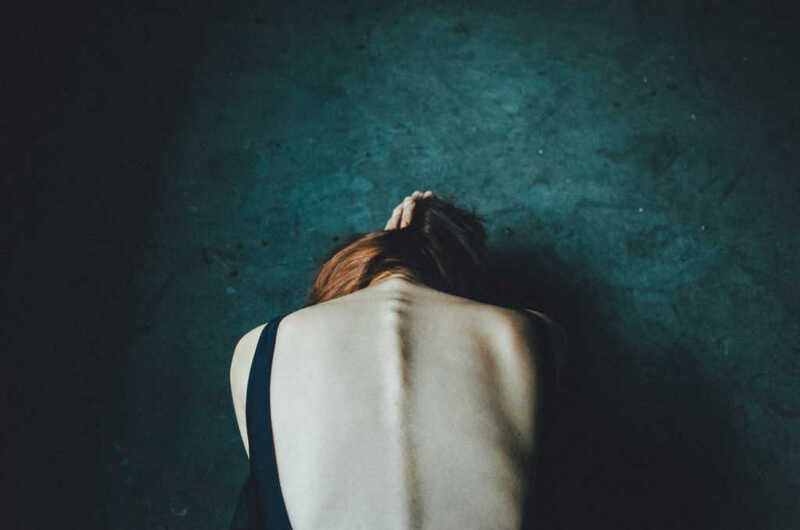 I saw my eating disorder and accompanying depression through a distorted Christian lens of my own making. My feelings and behaviors were sin that should have been controlled through my faith. When I couldn’t fix it, I was a failed Christian, disappointing God over and over again. As a teenager, I was naïve in my understanding of such complicated theology but never thought to seek any guidance on it – and stayed rooted in these thoughts for far too long. “Your body is a temple” played on repeat in the background of my mind as Satan whispered to me that I was a fat, abusive, lazy, failure that couldn’t testify to God’s promises or freedom because I would always be trapped in this prison. He hindered my witness for years with these lies. I believed I wasn’t worthy to share Jesus with people because they would see through my façade. I pinned a scarlet letter of shame on myself for the way I succumbed to these physical urges, feeling as if no amount of grace could save me from myself. Like Paul said in Romans, “What I want to do I do not do, but what I hate I do” – and repeat. When engaged in eating disorder behaviors, I often avoided church and prayer, feeling like these activities were negated by my sin. It’s clear Satan was manipulating my understanding of God’s love and grace through the vehicle of my disorder and I fell for it. The key to my recovery started with finally recognizing my eating disorder wasn’t something I created and it was not a sin. Sure, decisions I made as a result of it were but it was imperative to recognize the condition itself was a product of biology, environment and a broken world. Restriction and binging, purging and lying about it weren’t individual sins that varnished my witness or my testimony. In fact, pursuing the Lord within the struggle is one of the most powerful witnesses I could have had. It must have been painful for God to see me believing the lies of the enemy when His truth was readily available if I’d only open my eyes to it. Mental illness is at the foundation of an eating disorder, but it also embodies a spiritual illness. When we don’t allow or know how to let God fill those deep hungers in our soul, it’s easy for the broken mind or heart to rush and infuse them with sickly replacements that bury us deeper into helpless-feeling despair. When I stopped viewing my eating disorder as a sin, everything changed. Without the self-imposed divine pressure weighing on every decision, I could more clearly see a path to freedom. I was no longer disappointing God when the eating disorder won out – I was only disappointing myself. He wasn’t ashamed or embarrassed or angry. My salvation wasn’t reliant on my behavior, a basic Gospel truth I’d forgotten along the way. Part of my personal transformation was the revelation that this condition wasn’t my fault and that through only Jesus (not myself) did I had the power to overcome. But even if I didn’t, He would love me just the same. Claim your victories in Jesus even before they have arrived because His promises can be counted on. That’s the only faith I needed and it’s impossible to fail in the eyes of God when you have that. Some in the mental health community believe someone can never truly overcome an eating disorder– only learn to live with it. I’m proof that isn’t true. There is no chain that Jesus can’t break.